Wissam sits on the steering committee for the MENA group 2019. He has over 14 years experience in accounting & financial management, cost & financial accounting, internal & external audit, financial reporting & tax advisory services so is an invaluable resource. Mr. Abousleiman is a Lebanese certified public accountant (LACPA) and member of the IIA – Lebanon Chapter. Since 2009, he has been the Managing Director of Abousleiman & Co., a family professional services Firm established in 1971 that practices audit, assurance, enterprise risk management and tax advisory services. Over the course of his 18-year career, Mr. Abousleiman has gathered a wide range of experience in general, cost and financial accounting, financial management, internal and external audit, financial reporting and tax advisory services. Mr. Abousleiman has always pursued his assignments with a risk-based approach, giving great attention to good governance practices and the application of professional standards. With this in mind, he has engaged in the audits of private companies, financial institutions, social welfare funds, public institutions, grant funded projects, etc…; he has also expanded the Firm’s practice area to perform internal audits for a number of high profiled businesses and organizations pioneering this practice as an independent consultant; in addition he has carried out local tax and social security compliance audits, valuated businesses, developed accounting and budget reporting functions as well as internal policies and procedures manuals and oversaw the restructuring of several local institutions. Currently, he is developing a number of far-reaching diploma programs based on good governance practices and responsible citizenry, among which include an 8-course Tax Diploma Program for the American University of Beirut’s Continuing Education Center covering international tax concepts and in particular the Lebanese tax system due to start in October 2017. Mr. Abousleiman graduated from the Lebanese University – Faculty of Business Administration in Accounting and Finance where he obtained his Maitrise degree and thereon pursued a Masters Degree in Business Administration (MBA) from the Lebanese American University (LAU). Since 2004, Mr. Abousleiman has been practicing martial arts and holds a 3rd degree black belt in Shotokan Karate-Do. He is also an instructor, teaching at several clubs and an active competitor. 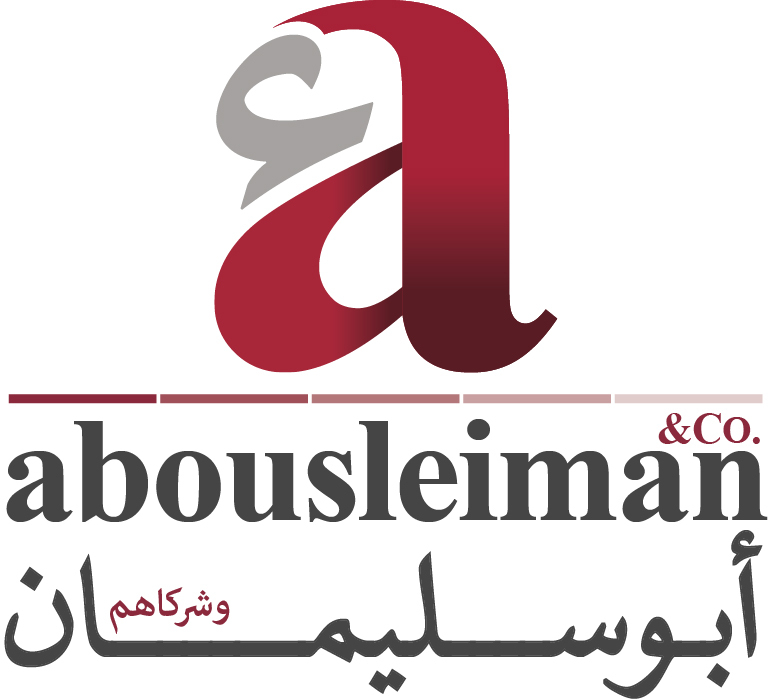 We at Abousleiman & Co.have offered our professional expertise and services to a continuously growing number of clients for over 40 years now. Through our commitment to high moral standards and ethical values we have been successful in establishing strong ties with our clients, while our technical expertise has continuously allowed us to satisfy our client’s growing needs through hands on consultations and recommendations to optimize managing their businesses. Our Firm’s experience lies in both the public and private sectors where we have engaged in audits as well as special assignments to develop, and in other cases to assess, internal controls adopted by those organizations. (3) taxation, whereby we propose effective tax structures for clients as well as handling tax claims and objections with local tax authorities. Abousleiman & Co. is a member of the Lebanese Association of Certified Public Accountants (LACPA) and the Arab Federation for Accountants and Auditors. We are also registered as sworn auditors with the Judiciary Courts of Lebanon. What features of the tax system in Lebanon are particularly attractive to potential investors? Any little known structures you wish to share? What are the most serious tax pitfalls to be aware of when considering an inbound investment into Lebanon? What is the most common tax structure for inbound investments into Lebanon? As a business engaged in cross border activities are you compliant? What questions must be addressed?